Topics to be covered include (1) making a basic image post vs. an "inline" attachment post and (2) posting an image from your computer vs an Internet URL. First we will go through the basic steps of posting an image from your computer. Step 1. Once you have decided to post an image from your computer, in a new message post or a reply, proceed normally and then look at the bottom of the posting screen for the three tabs, Options, Upload attachment, and Poll creations (see below). Step 2. Select the "Upload attachment" tab. Then click in the filename box or the browse tab. Doing this will open your file manager dialog box. Step 3. With the dialog box open, browse to the folder containing the file you wish to post and select it and then follow the normal procedure for completing the selection (in the image below using Windows XP, it is the Open button). Step 4. To load the file into the forum posting you then click on the "Add the file" button. Step 5. Make an optional file comment in the "File comment" box of the posted attachments section of the post. Step 6. Add text to your posting if you have not done so already. Step 7. Post your image and comments by clicking on the standard "Submit" button. Resulting post is shown below. Step 8. An "Inline Attachment." Using the "Place inline" feature provides more control for image placement in your posting. Clicking on "Place inline" puts code in your posting that has your file name with two bookend "attachment codes." This enables you to change the order of several image attachments in your post by cutting and pasting ("moving") the code around. You probably won't have that control with simple posts as done above in previous steps. Go to Step 2 above and click on the "Upload attachment" tab. Paste the URL into the "File Name" box of the "File Upload" window and select "Open" to complete the process. Then continue with the remaining steps as discussed above. 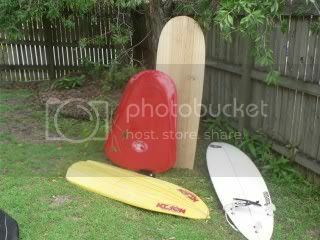 This is the photo from Photobucket (http://i516.photobucket.com/albums/u327 ... quiver.jpg). Use the procedures noted above and then after the image is uploaded select "Place inline" from the "Posted Attachments" section below the message box. i tried using the instructions to post from Photobucket but I cant get it to paste into the File Name box. And I used to use the straight IMG code from photobucket using just cut and paste. but both of those ways arent working for me.. any hints please? When I tried posting using Photobucket's "Email & IM" option the Forum software refused to load it stating it was a possible attack vector (virus). Using the IMG and HTML options will not work. Using the "Direct Link" option was successful as shown below. Remember that after pasting the link into the Filename dialog box that you need to click the "Add the File" button. An additional option is to add the file "Inline" by clicking the "Place Inline" button. Go to File name window and theres no option to insert the code. I must be Fickin stupid. You are not seeing the File Name box as shown in the above Step 2 ? You click your cursor in the box and paste your link in there or another dialog box pops up that you paste the link into as in Step 3 (but also then see the section called Posting an image from an Internet Link below all the steps. Another option is to simply download the image to your hard drive and then follow the steps 1 through.... .
Where do I donate to repay your patience ??? Congrats... you have entered the next stage of Internet Computing Enlightenment! Rod, what triggers the scrolling box for photos? I've seen photos 600 pixels tall that don't have the box, and much shorter photos that do have the scrolling box. Poobah wrote: Rod, what triggers the scrolling box for photos? I've seen photos 600 pixels tall that don't have the box, and much shorter photos that do have the scrolling box. Good question... not sure anymore! It probably has something to do with whether the figure is displayed via pure attachment mode or In-Line placement mode and the size of the figure (combination of pixel size and absolute file size). Experiment is all I can suggest.